Valor & Victory: Mission Complete. Enhancing the quality of life and supporting U.S. military veterans’ transition back to civilian life is an important mission for many community members and businesses, including Regional Distributors, Inc. 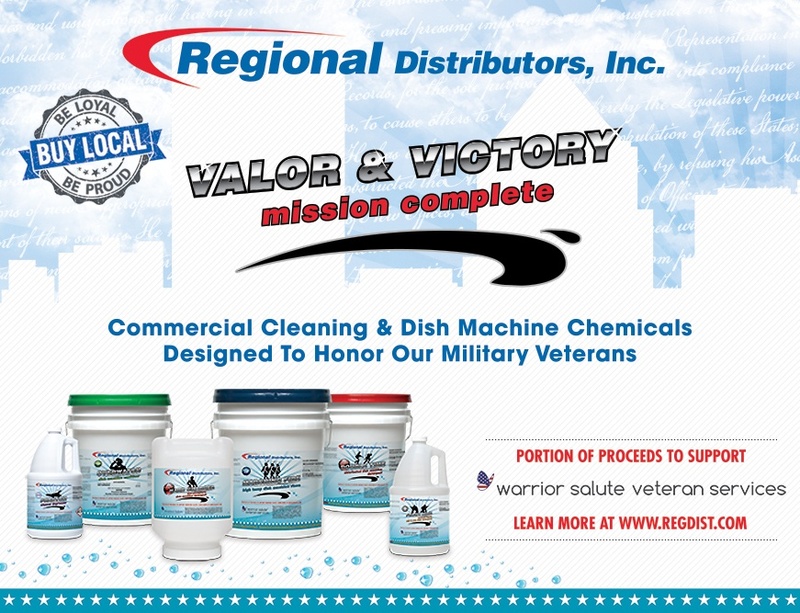 The launch of our Valor & Victory line of advanced commercial cleaning and dish machine chemicals is a long-term opportunity to give back to military veterans and combines our love for what we do with our duty to supporting veterans. With help from Regional's own military veteran employees, all of the products in the Valor & Victory line were designed and named to honor military veterans and represents a simple, but inspired way to recognize their service and sacrifice. Read more about the story behind the Valor & Victory line. 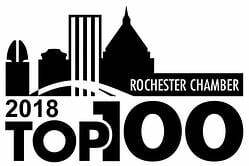 As a business community member, you have the opportunity to give back to military veterans through support of the Valor & Victory line where a portion of proceeds will be donated to Warrior Salute Veteran Services, a Rochester-based organization that helps military veterans with post-traumatic stress disorder (PTSD), traumatic brain injury (TBI), and military sexual trauma (MST). With your help, Regional Distributors, Inc. anticipates donating upwards of $10,000.00 annually from proceeds and related fundraising events to help military veterans regain their lives and dreams by supporting Warrior Salute’s quality clinical and rehabilitative therapies, employment opportunities, temporary housing, and support services. Learn more about Warrior Salute Veteran Services and how you can give back to military veterans. sign-up to receive email updates about new product additions and events. 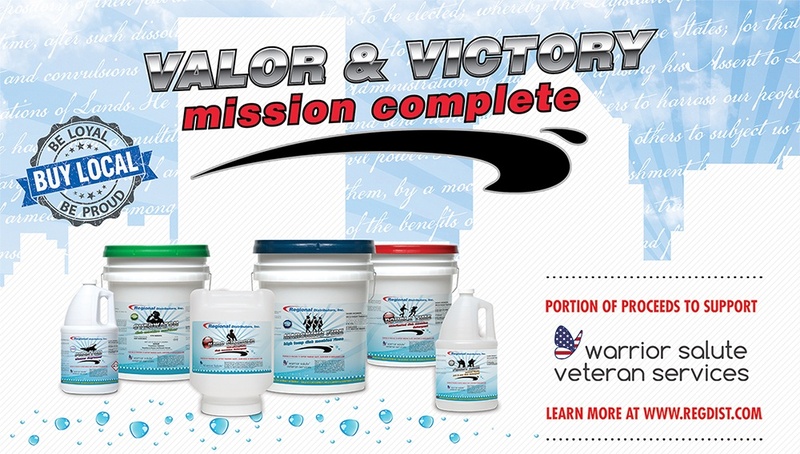 Click to download a printable Valor & Victory product catalog. To Place An Order: Contact your Regional Account Manager, call or email us, or order online. Product Description: Extra strength, 100% active solid detergent for use in both high temperature and low temperature dish machines. Delivers one-pass clean dishes, crystal clear glassware, and spotless silverware. High performance soil suspension agents and water conditioners combat challenging water conditions delivering spot-free, complete rinsing while preventing lime deposits on dish machine interiors. Features an easy-to-grip molded handle and compact packaging that reduces storage. Product Description: Premium, highly alkaline liquid dishwashing detergent designed for use with automatic liquid dispensing equipment. Easily tackles tough greasy soils under heavy soil conditions and delivers superior performance at all levels of water hardness. 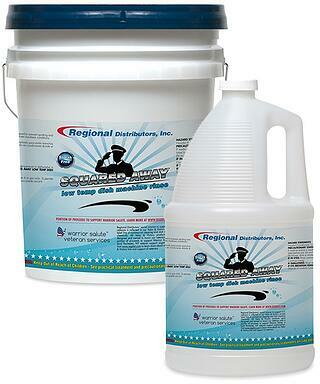 Contains controlled release chlorine for superior stain removal on utensils and dishware. Liquid concentrated for maximum cost savings. Not recommended for use on aluminum. Product Description: Powerful, metal-safe liquid machine dishwashing product that saves you time and water and increases warewashing efficiency by allowing you to clean a wide variety of dishes in one cycle. 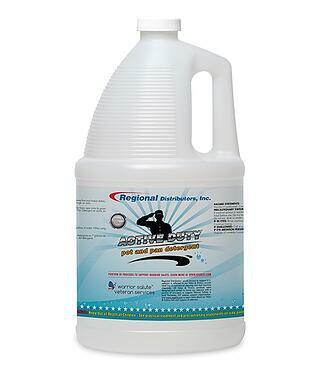 Removes and emulsifies soils for sparkling clean dishware in low temperature, energy-efficient dishwashing machines. 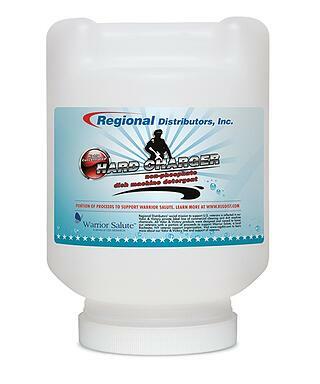 Manufactured with special alkaline builders, sequestrants, buffering agents, and deflocculants for superior effectiveness under heavy soil load conditions in soft to medium hard water. Product Description: Economical, specially formulated drying agent designed to prevent spotting and streaking in high temp dish machines by reducing the surface tension of water. Eliminates costly rewashing, accelerates drying, and delivers spotless, streak-free brilliant shine. Helps to control mineral deposits left by hard water and food soils caused from rapid evaporation at high temperatures. Can be used on soft to medium water hardness conditions. Product Description: Specially formulated, economical drying agent designed to prevent spotting and streaking in low temp, energy-efficient dish machines. Excellent reduction of surface tension of water helps eliminate alkaline and hard water fill deposits from kitchen items. 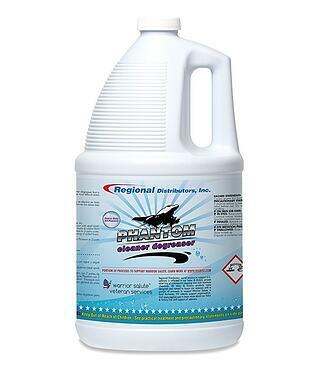 Eliminates costly rewashing, accelerates drying, and delivers spotless, streak-free brilliant shine. Can be used on soft to medium water hardness conditions. Product Description: Optimized EPA registered dish machine sanitizer that delivers maximum sanitation to ensure your dishes are clean and safe to use. Aids in stain removal and buffered for extra stability. 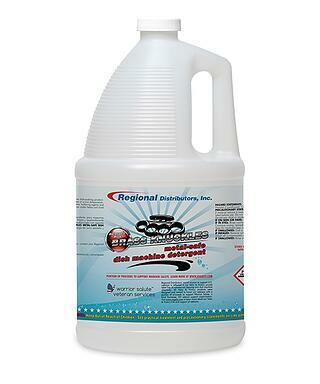 Use as a sanitizing agent in the last rinse operation of a low temperature dish machine. Product Description: Safe on hands, tough on soils. Specially formulated pink liquid hand dish detergent that quickly cuts through grease and baked on food, yet is soft and gentle to hands. 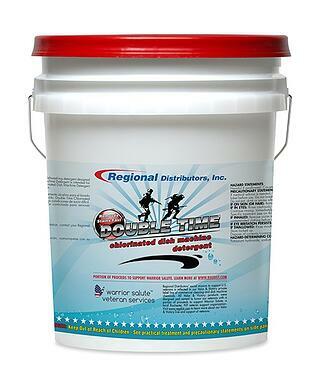 Heavy-duty, concentrated formula for superior grease removal and streak-free rinsing for brilliant shine. Product Description: Economical green liquid dishwashing detergent that quickly emulsifies oil and baked on grease. High performance, concentrated formula perfect for heavy duty degreasing and cleaning of excessively soiled kitchen items. Highly effective in all water temperatures and degrees of hardness. Product Description: Heavy duty, low foaming, all-purpose cleaner degreaser that is highly effective on all types and degrees of soil, and in all water hardness conditions. High-performance, all-purpose formula increases efficiency by saving you time and money by using only one cleaner instead of numerous products. Safe to use on the most difficult areas to the most delicate including walls and painted surfaces, ovens, fryers, kitchen and bathroom surfaces, general cleaning, and all types of flooring (asphalt, vinyl tile, linoleum, rubber congoleum, composition, terrazzo, marble, magnesite, concrete, and cement floors). Product Description: Concentrated, heavy duty, low foaming, cleaner degreaser that is highly effective on all types and degrees of soil, and in all water hardness conditions. High-performance formula cleans and deodorizes in one easy step. Lemon scented for deodorizing hard surfaces. Safe to use on the most difficult areas to the most delicate including ovens, fryers, kitchen and bathroom surfaces, general cleaning, and many types of flooring (ceramic, quarry tile, resilient tile, vinyl composition tile, asphalt tile, and rubber, concrete, and cement floors). Product Description: Powerful and efficient oven and grill cleaner that quickly and easily removes even the toughest encrusted and baked on grease, carbon, and food from ovens, stove tops and burners, griddles, and deep fryers. Product Description: Heavy duty and efficient oven and grill cleaner that quickly and easily removes even the toughest encrusted and baked on grease, carbon, and food from ovens, stove tops and burners, griddles, and deep fryers. 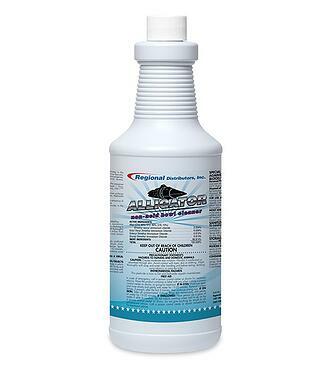 Product Description: One-step EPA registered cleaner disinfectant that provides superior disinfection, virucidal, non-food contact sanitizing, fungicidal, and mildewstatic performance. Completely sanitizes and deodorizes. 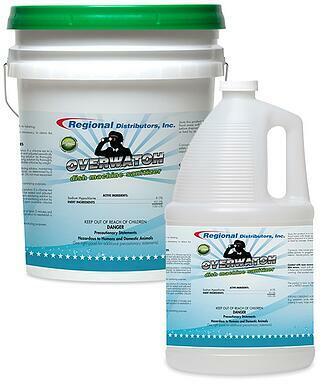 Inhibits the growth of mold and mildews and their odors on hard non-porous surfaces. 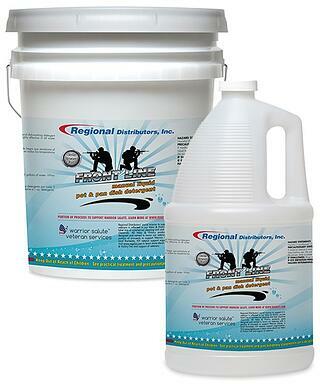 Excellent non-acid bowl cleaner to remove tough hard water stains. Current Customers: Log in to your online ordering account.